Work from A Printed Sun as a Yellow Spot at Rod Barton Gallery. “Exploring the relationships between art and the history of design, James Clarkson’s practice investigates how a formal language can be devised from combining found objects, painting and sculpture. 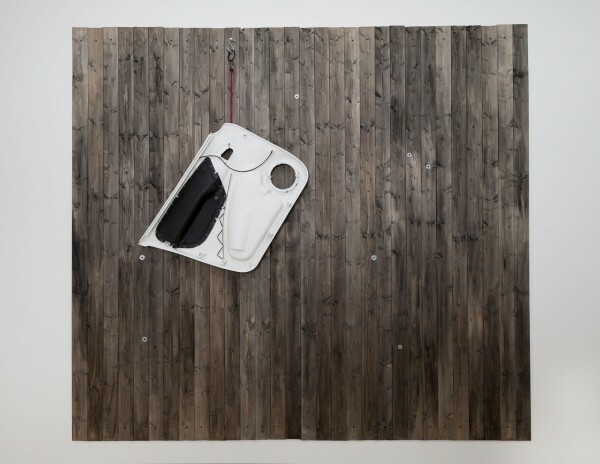 The materials Clarkson uses in his works are typically selected for the references they make to specific moments in art history. 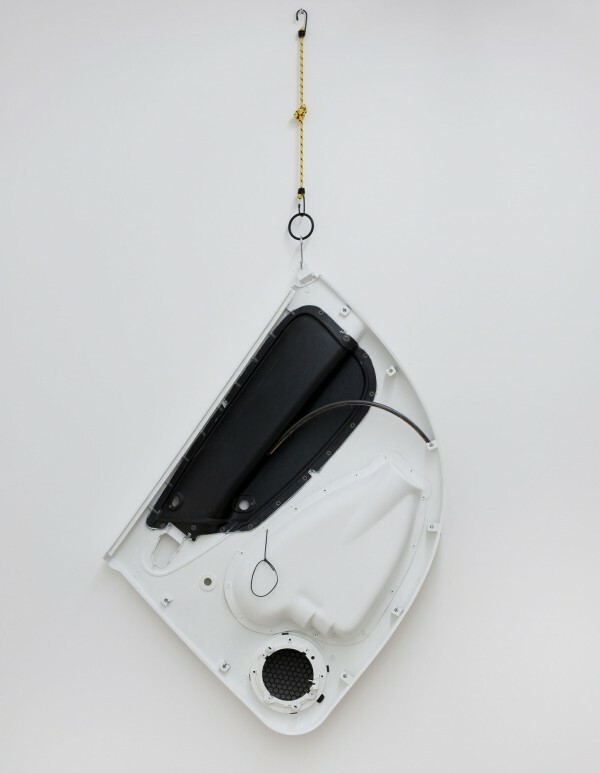 In addressing the tensions between functionality, purpose and experience, his work also asks wider questions regarding the meanings embedded in the objects that we surround ourselves with. For his solo exhibition at Rod Barton Gallery, ‘A Painted Sun as a Yellow Spot,’ Sheffield based artist James Clarkson has created an installation of new works that extend his exploration into art history and it’s place in the materials of our present. ‘A Painted Sun as a Yellow Spot’ brings together a composition of sculptural and wall based works made almost entirely from parts of a Citroën Picasso. Using these materials James Clarkson has created a playful response to Henri-Georges Clouzot’s 1954 film Le Mystère Picasso which depicts Picasso at work in a fictional studio as he paints on to a specially constructed transparent canvas that allows the viewer to witness, unobstructed, the fluidity of the artist’s hand in motion. Recurring themes from paintings made for the film are apparent in the formal attributes of each of the works exhibited. 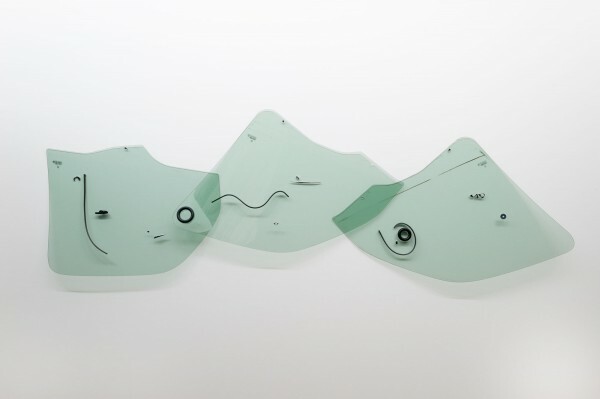 Relief Construction, 2012 made from three Citroen Picasso car windows, windscreen wiper blades, exhaust parts and an exploded metal replica of Picasso’s signature, resonates with Clouzot’s concepts of fluidity and transparency, whilst their forms suggest fractured elements of Picasso’s paintings. Another piece made from wooden tongue and groove panelling and the interior mouldings of car doors, replicates the staging of Picasso’s fictional studio in the film. The positioning of works against and around the cladding forcibly locates the viewer in relation to the works, pointing towards the multiplicity of readings that could arise from different permutations. The entry 'James Clarkson' was posted on June 10th, 2012 at 11:06 pm	and last modified on June 11th, 2012 at 12:12 am, and is filed under Uncategorized. You can follow any responses to this entry through the RSS 2.0 feed. Both comments and pings are currently closed.